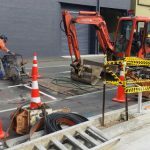 How does ChargeNet NZ Choose a Site for a DC Fast Charging Station? We get numerous enquiries from members of the public requesting a ChargeNet NZ Fast Charger in their town or on their premises. It’s a rewarding part of my job when I hear how excited the public are about our proposed network. Since I’m often the first point of contact at ChargeNet NZ, every so often I’ll hear from somebody who has a really good site proposal. I asked Steve West and Nick Smith the same questions members of the public ask me every week. Is there a specific formula for choosing a new site, or is ChargeNet NZ just grateful to get in anywhere somebody will have them? Trying to pin our Chief Decision Makers down to get answers is like watching a man doing housework—painful. But in the end, they did provide an exhaustive list and even gave permission to share it with our readers. So here you have it: The Definitive Formula for Choosing New EV Fast Charger Sites. 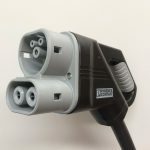 First and foremost, because the DC Rapid Chargers draw an incredible amount of power, they need to be positioned close to an adequate source of power. In practice, this means a minimum 50 kVA, 3-phase supply. For practicality, and to keep costs down, the least amount of cabling needed, from the Distribution Transformer to the Charger, the better. Support from the local government, local power supplier and the owner of the site is another primary factor. Depending on the site, there may be various individual requirements for Council Works. Examples are: digging pavements, signage, etc. The pricing plan and connection timetables of the local lines company contribute greatly to the viability of sites. Perhaps most importantly, the owner of the site generally needs sign-off from their legal team, which can take time given that the technology is new. We will require sign off from the property owner, not just from the leaser-holder of a site. Accessibility is crucial. ChargeNet NZ is initially more interested in sites where the public has 24/7 access. So places like events centres, which are often closed at night, or private carparks do not make ideal sites for rapid charging, although they often make ideal AC Destination Charging sites. Further, the site needs to be in an area which is not overly congested or busy with delivery vehicles. There needs to be at least one, and preferably two easily accessed carparks. Angled and parallel parking are not ideal, particularly if the charger is to be sited on the roadside. The EV Charging mindset is different from 5-minute petrol station stops. You know you are going to be there at least 10 minutes, so the ideal charging site is a place where there is something to do while you take a healthy rest from driving. A cafe, public restrooms, shopping, tourist attractions, or preferably all of the above, are desirable. Landlords are realising the value of placing a charger on their premises, which will turn their business into a must-stop location. Public visibility is also important. People need to be able to find the chargers quickly without the need for a mini treasure hunt to track them down. Ideally, a site which has the potential for expansion further down the track, is a bonus but not essential. ChargeNet NZ has developed synergetic relationships with Z Energy and Foodstuffs. Both of these hosts have ideal sites and ChargeNet NZ looks forward to installing further Veefil rapid chargers at their branches. “Check the ChargeNet NZ map for all the latest information about our proposed network. It changes regularly as we get new opportunities and is always the most up-to-date source of information,” says Nick Smith.